Armin van Bureen - Dutch Trance music producer and famos DJ. 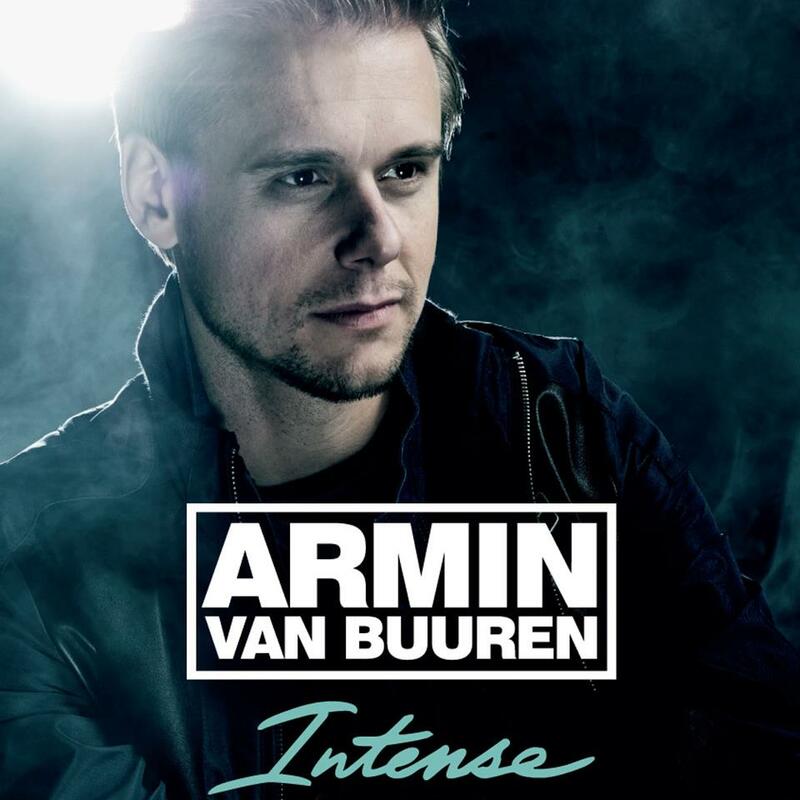 Intense_2013 - new full-length album, Armin van Buuren, who take part in the recording of many invited guests. DJ and music producer, he plays in the style of trance. DJ number 1 in 2007, 2008, 2009, 2010, 2012 respectively by the magazine DJ Mag.Leading his own radio show - "A State of Trance".One of the founders of the largest electronic music record label Armada Music.Throughout his career, Armin van Buuren has performed in over 25 countries, with the support of Dave Lewis. Among the places that are constantly mixes - Passion, Godskitchen, Gatecrasher and Slinky - UK Glow - Washington and Ibiza. - The award, "Best Compilation" for A State Of Trance in 2006. - The title, of «Best European DJ» in 2007. 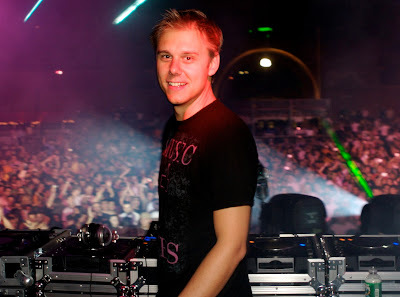 - The award, "Best Radio Show" at Miami Winter Music Conference in 2006 and 2007 for his famous - program 'A State Of Trance'. - The first position in the DVD ranking thanks to the release of the disc «Armin Only Imagine». - In January 2008, Armin received the most prestigious music awards of the country - Buma Cultuur Pop Award. - In 2010 he was awarded the prize "Golden Disc" for the album «Imagine» (2008). - In 2012 at "WINTER MUSIC CONFERENCE" - won the nomination: THE BEST GLOBAL DJ. Best Radioshow, Best Podcast, Best Trance Track (Armin van Buuren feat. Nadia Ali - Feels So Good), Best Label. Name Armin van Buuren now familiar even to those who are far from the club culture. Young Dj, whose career began when he was only 18, in its current 33 is one of the most popular musicians playing electronic music. His sets are always popular with the public, and fees reach astronomical figures - and all this despite the fact that the money belongs to Armin very lightly. "There would pay me for speaking out at all - I'd still be playing," - said in an interview Van Buren ClubConcept. Passion to a favorite cause in his case, it seems quite incurable. Armin from early childhood, fond of music. Even when all normal children do not even think about other activities than playing in the schoolyard, Armin patiently saving up money that parents give him pocket money to buy the record. The love of music at a young Van Buren was in the blood - both his parents were musicians - but Armin in his childhood began to enthrall the music is electronic. Hearing one album of Jean-Michel Jarre (Jean-Michel Jarre), Armin ever fell in love with the sound of the synthesizer artist: to this day he calls Jarre his main inspiration. Van Buren's musical career began with appearances in small Dutch club Nexus, where he played sets, a student at the University of Leiden. Even then, hard-working guy who came down thumbs up records, earned the love and recognition of not only the public, but also to the administration of the club - Armin was one of the few who was willing to spend a lot of didzheyke hours. Van Buren was playing eight-hour sets of three or four times a week, despite the fact that in the morning he was waiting for study at the Faculty of Law. Armin leave school did not want to - knowing that a career Dj may not add up, he wanted to have a profession "in reserve". However, even in the last years of his replacement options were not needed - a musical career was very favorable, Armin spent time in endless tours, and the institute's life remained almost overboard. After spending three years in travel, Van Buren still finished education, survival rates in Oxford. The first successful track Armin created when he was barely 20 years old - «Blue Fear», released on the label Cyber ​​Records, hit the British charts, and further releases issued on various labels, all famous for their increased success. So, «Euro Trance blueprint» also falls into the UK chart, and the following entry «Communication» becomes a hit in Ibiza in the summer of 1999. In the same 1999 Armin founded his own record label Armind. The first release of «One» (including four of their own) is well received by critics and the public. Second, «Touch me», released under the name Rising Star, was signed by the Ministry Of Sound before the official release. The third release was signed by R & S Records, and it is already possible to say with certainty that Armin managed to create a truly popular label. Next, under the Armind Van Buuren Tiesto teams up with (Dj Tiesto), to create two joint projects - Major League («Wonder Where You Are?») And Alibi («Eternity»). The latter was licensed via Paul Van Dyke (Paul Van Dyk) Vandit Records. Together with Ferry Corsten (Ferry Corsten) Van Buren recorded track «Exhale» - released as a single, it is less than a month was certified Gold. In addition to the music of Van Buren in 2001 launched his own radio show A State Of Trance, exists to this day. Initially it was assumed that the show would be fun just to the Dutch public, so in the first issues Armin spoke exclusively in Dutch. However, with the growing popularity and the show, and most of Armin, A State Of Trance became the English-speaking and began to spread in the form of podcasts worldwide. In 2003 went on the air for the hundredth edition of the program, after which threw a lavish party Armin in the Dutch Bloomingdale. Later, a party in honor of the anniversary edition of the show will become a good tradition. Armin never been able to stop there. After becoming popular as a Dj and radio host, Armin decided to continue the producer's experiments. In 2003, teaming up with the former head of A & R of Warner Music by Michael Piron (Maykel Piron) and own manager David Lewis (David Lewis), Armin launches new label Armada, which offered the musicians not only audio, but also full support, including a Booking , PR, ticket sales and any other necessary assistance in the work. Previous labels Armin Armind and A State Of Trance become children of the "Armada". Multiple mergers and acquisitions have led to the fact that the label has grown and has become a serious competitor to the major players in this market as ID & T, who promoted DJ Tiesto. Ceaseless work gave fruit. While in 2001, Armin brilliantly burst into the top hundred Dj planet at the 27 th position, then in 2005, he became the number 1. 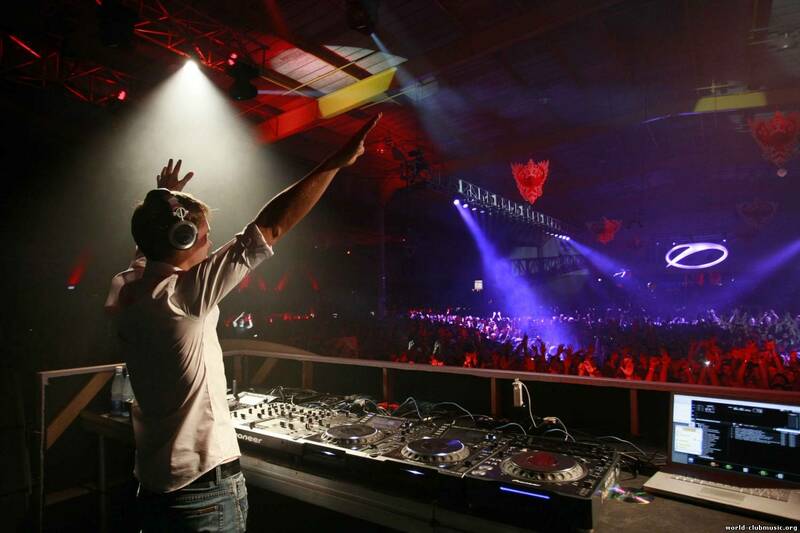 In the same year he released a track «Serenity», which became the anthem of the festival Sensation White. Album «Shivers», which entered the track, and does not go unnoticed - he received the award "Best Album" from the Dutch Release Dance Awards and Edison Awards. November 12 of that year, making his own show Armin Armin Only - The Next Level, tickets for which sold out in a few minutes. Resounding success of the show brings to mind again Armin Armin Only, and has exactly one year later the second concert of this brand is held in Rotterdam. 1. Intense (feat - Miri Ben-Ari). 2. This Is What It Feels Like (feat - Trevor Guthrie). 3 Beautiful Life (feat - Cindy Alma). 4 Waiting For The Night (feat - Fiora). 6 Sound Of The Drums (feat - Laura Jansen). 7 Alone (feat - Lauren Evans). 9 Won’t Let You Go (feat - Aruna). 10 In 10 Years From Now. 11 Last Stop Before Heaven. 12 Forever Is Ours (feat - Emma Hewitt). 13 Love Never Came (feat - Richard Bedford). Download >>> Armin van Bureen - "Intense_Album"